I still can't believe na dalawang tumbling na lang talaga! I'm feeling both excited and nervous. 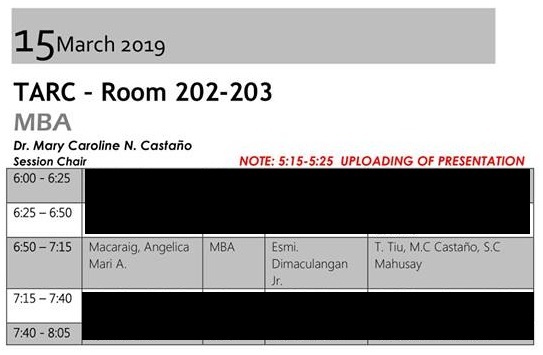 Excited because I'm two steps closer to getting my MBA degree (wew! ), and nervous because I'm not sure what will be the outcome of my presentation. Wish me luck guys! I know all my hard work will pay off! 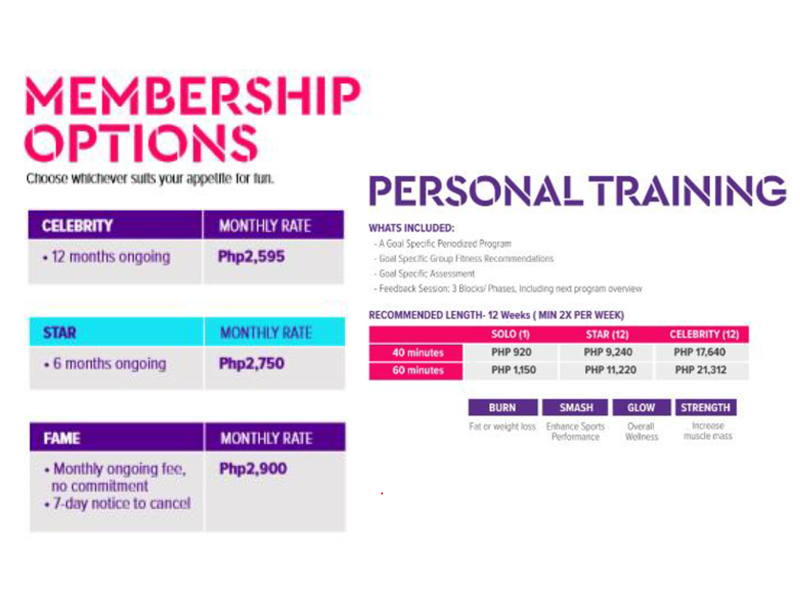 Celebrity Fitness – a comprehensive lifestyle-based fitness chain from Indonesia – finally makes its way to Manila at the 2nd Floor of One Bonifacio High Street Mall, 5th Avenue, BGC, right at the heart of the city’s evolving fitness hub. 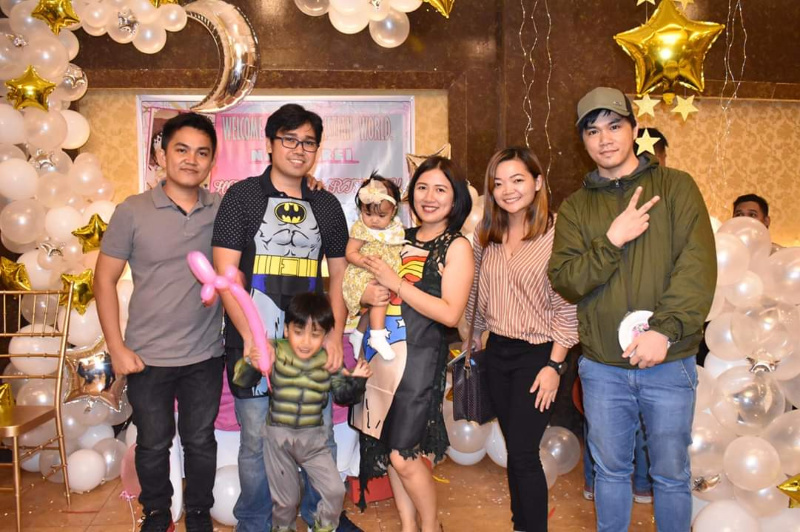 If you are akin to a one-of-a-kind fitness concept that will make every work out session feel like a party, where members are called Superstars and trainers, StarMakers – then this new club is the perfect place for you! 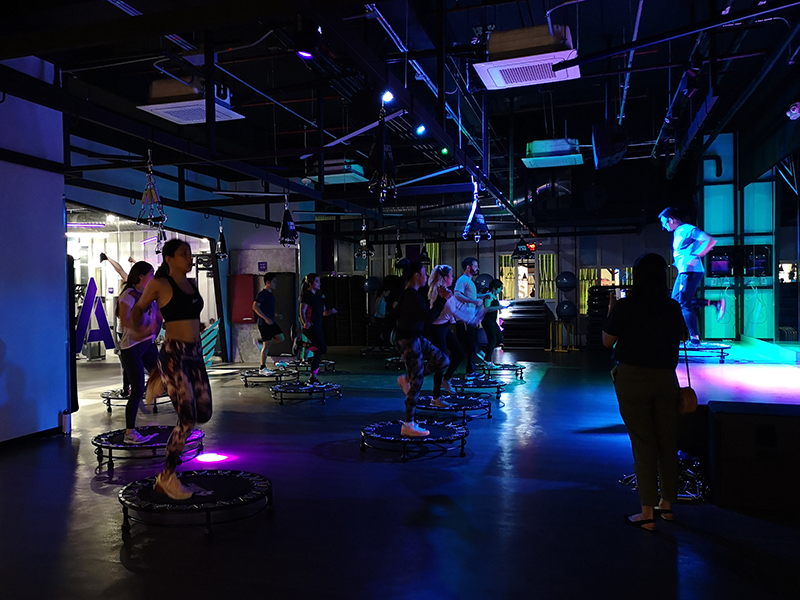 Few weeks ago, I was invited to try Celebrity Fitness' Saltar program - a 60-min trampoline workout that's a first of its kind in the Philippines. I'm not really a type of person who loves to exercise, but since I got interested with its unique concept, I gave it a try. Saltar - a Portuguese word which means "jump", is a type of workout that involves jumping exercises on a trampoline. At first, I was worried that I might slip while doing the workout. But since their trampolines are made of durable fabric & steel frames, I felt safe all throughout the session. It's also a plus that the instructor was full of energy, we all got motivated to give our best during the workout! The workout seems easy when you look at it, but it's actually draining! Or it's just me, since I can't recall when was the last time I had a good workout prior this (haha)! Per session of Saltar can burn at least 600 calories, which is more or less equivalent to 2-hr run. 1. 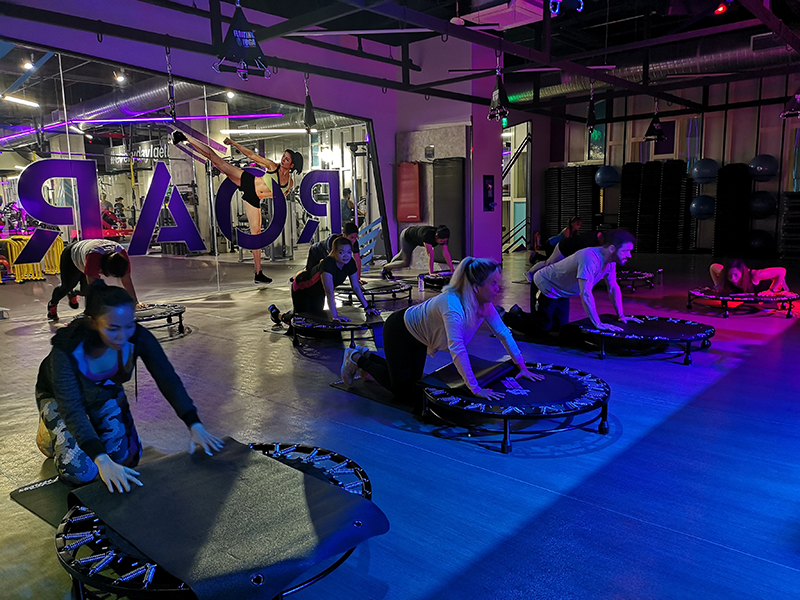 Playground: a 35-minute class on the gym floor that incorporates a range of innovative functional equipment and adventurous game-based workouts. 2. Dance N’ Attitude (DNA): a 60-minute class, perfect for those who want to get their body grooving to the latest beats. 3. Floating Yoga: a 60-minute class combining yoga, pilates, and functional movements in a suspended hammock. 4. Saltar: a 60-minute uber-fun trampoline workout. Saltar, which means ‘jump’ in Portuguese, is the first workout of its kind in the Philippines. Who else has tried this workout? Let us know your experience by commenting below. I started preparing for our Taiwan trip two months before our flight schedule. From the planning of our itinerary to deciding which hotel to book, restaurants and night markets to try and activities to pre-book. It can be time-consuming, but I always preferred to be well-prepared for a trip. 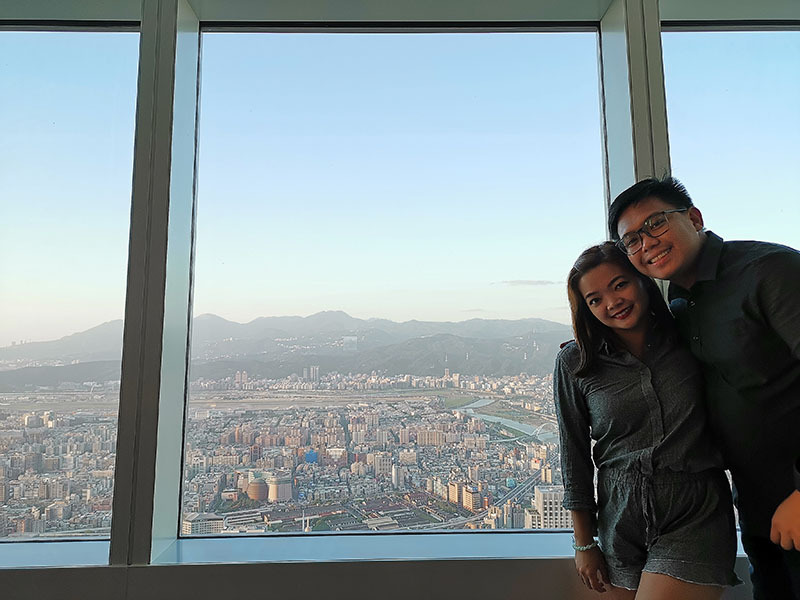 Anyway, let me share with you some tips I have gained while exploring Taipei ❤️❤️❤️. 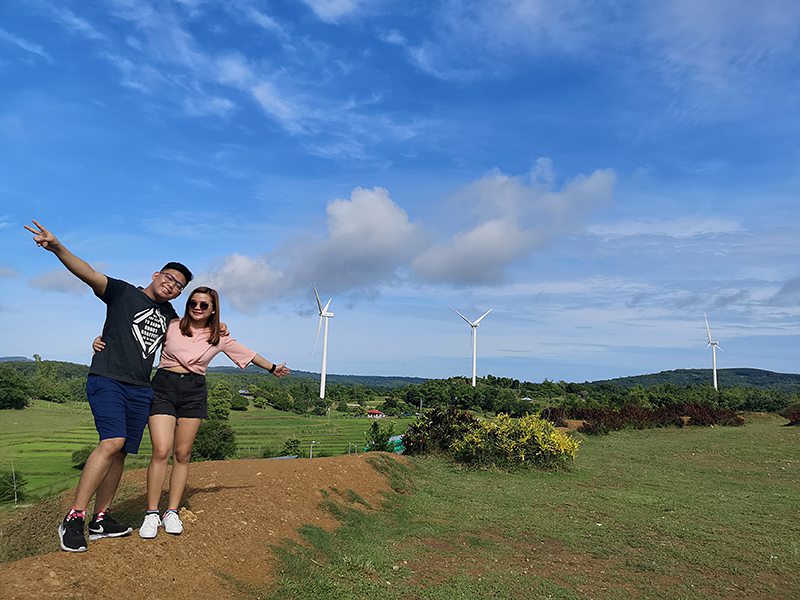 We were supposed to avail Unite Traveler 4G SIM Card via Klook, but our friends from Cherry Mobile gave us Cherry Roam, including Php 3000 voucher. 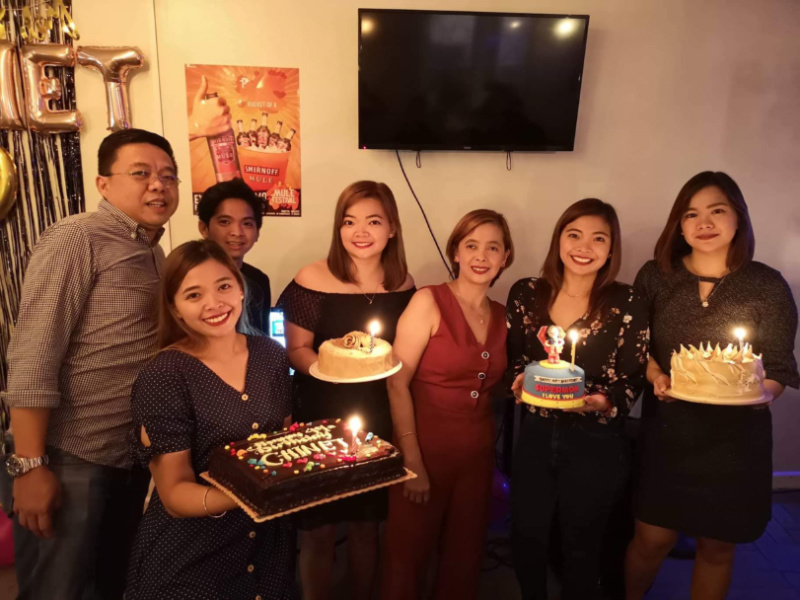 Thank you, Cherry Mobile! The Cherry Roam is pretty reliable in Taipei, we didn't encounter any problems with connectivity. 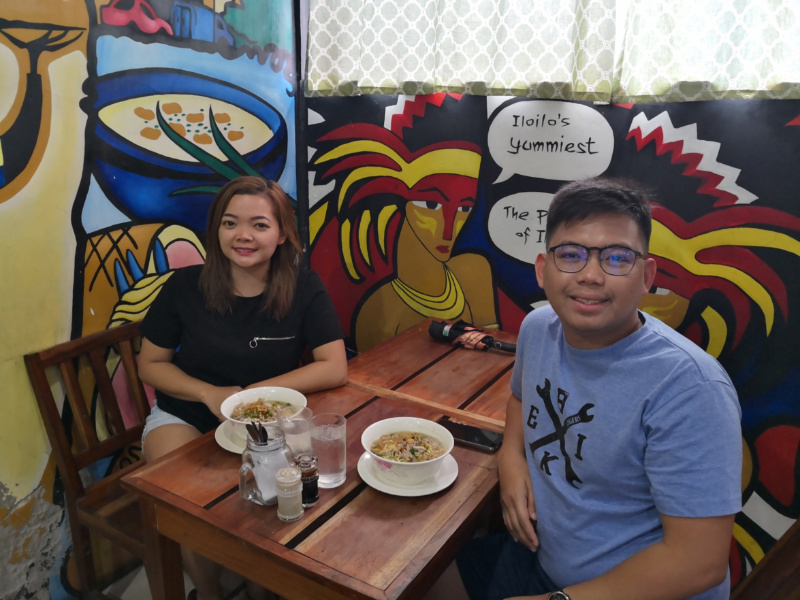 We availed the Php 350 unlimited plan good for 1 day. However, fair usage policy is applicable; after 1GB, Internet connection will be slower. If we don't have Php 3,000 voucher, we'll surely avail the cheaper option. Php 1,750 (Php 350 x 5 days) pesos is a bit expensive for Internet expenses. Taipei has a very reliable transportation system. 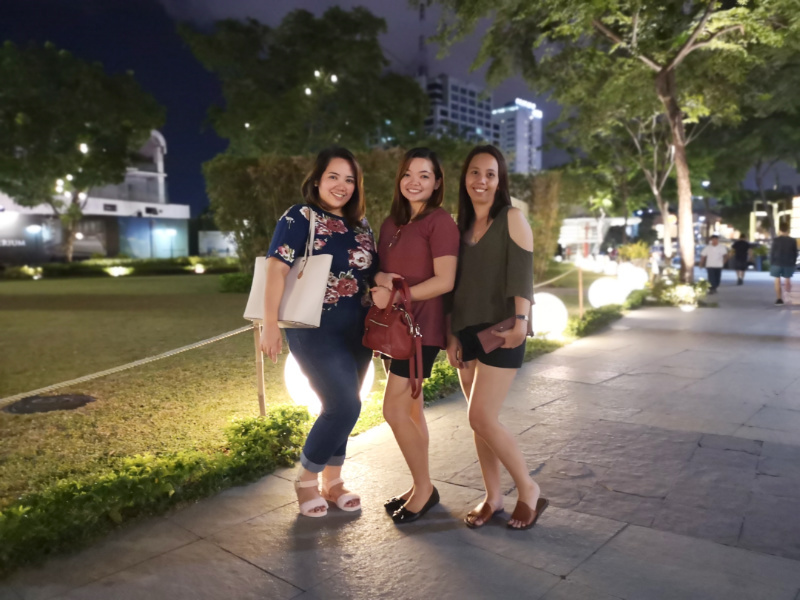 Most of the time, we used the MRT to get from one place to another since most tourist destinations are situated near the MRT stations. 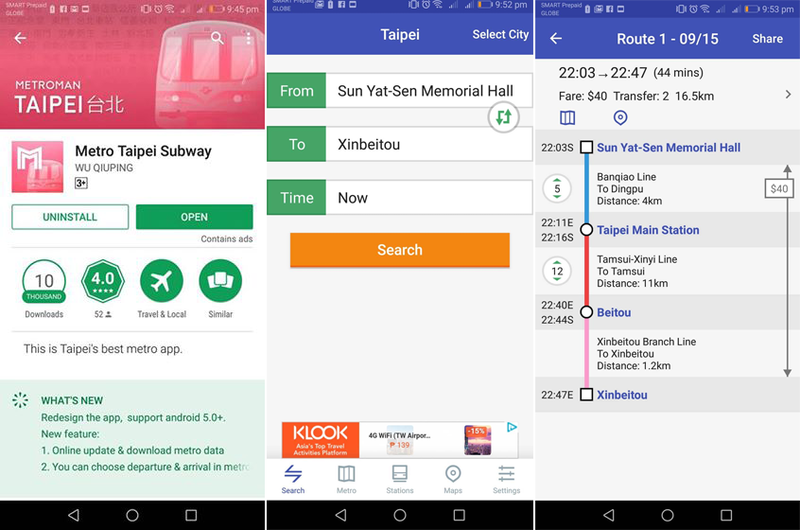 Please make sure to download the Taipei MRT app to easily navigate from one MRT station to another. I highly recommend Metro Taipei Subway app by Wu Quiping. It works even when offline. Google Maps will also be a big help in locating a specific place when you get off the MRT. If you're not confident with your Internet's reliability, download Taipei map from Google Maps, and navigate offline. It is also convenient to take the bus, however, I'm more comfortable with MRT. Riding a taxi can be expensive especially when destination is far. For popular tourist destinations, there are also car pool taxis available. For example, in Maokong, instead of riding the Maokong Gondola again back to Taipei Zoo station which costs around 120 NTD, we rode a carpool taxi instead. It costs 70 NTD per head - 50 NTD cheaper than the latter option. Avail EasyCard through MRT stations or convenience stores. We availed ours at 711 in Taoyuan International Airport. This prepaid card can be used for both bus and MRT, and for paying entrance fees (i.e. Taipei Zoo entrance fee, Yehliu Geopark entrance fee, etc.). For a 5-day trip, we consumed around 700 NTD. This includes fare for airport express train already. Taipei's train system is very efficient. 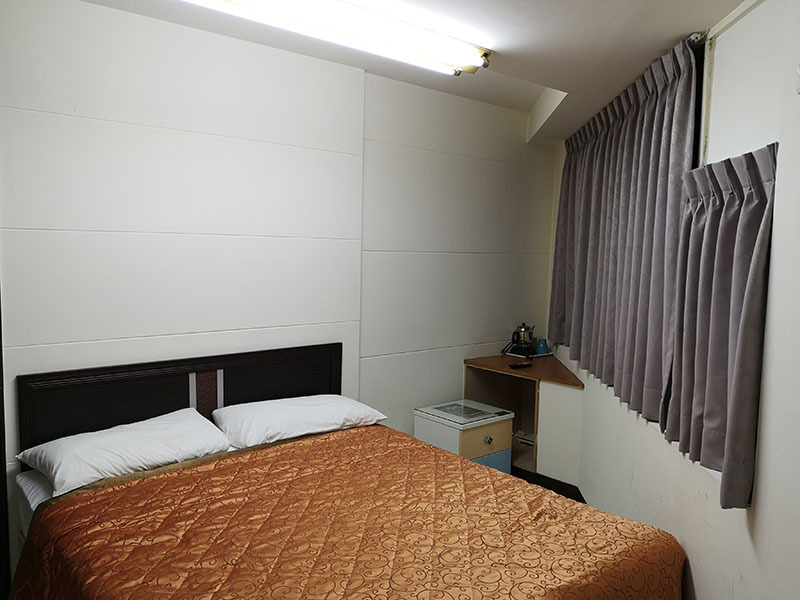 Some say that it doesn't matter where you stay in Taipei, as long as it's walking distance from an MRT station. 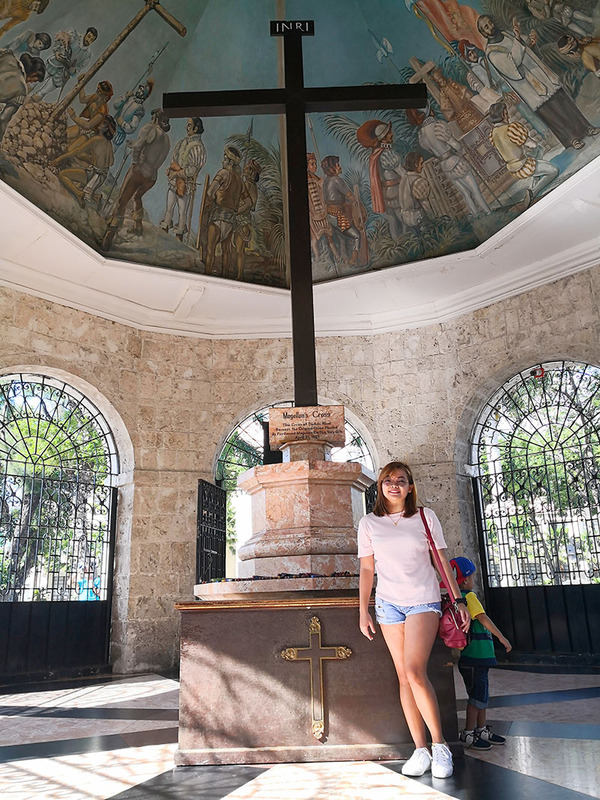 True enough, we didn't encounter any problems commuting from our hotel to different tourist destinations as most of it are accessible via MRT and bus. I would recommend to stay at Ximending - a neighborhood and shopping district in Wanhua District of Taipei. We stayed at One Plus One Hotel, and the nearest MRT stations are Beimen and Ximen. 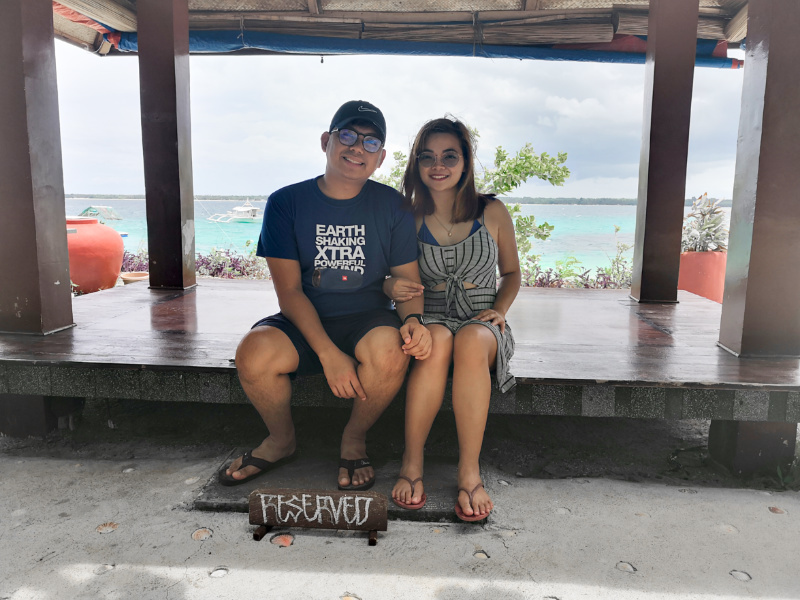 We paid Php 5,475.94 for 4 nights. - Night markets can be very crowded in Taipei, so make sure to take care of your belongings. - Mostly, food in Taipei comes in huge servings. If you want to try a variety of food, a single order can be shared by two. That's what PJ and I did! 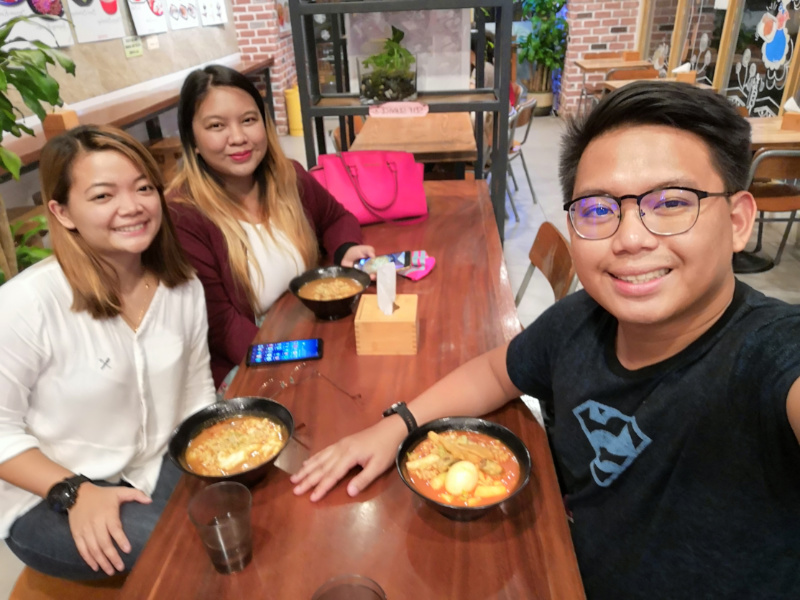 - According to a Taiwanese friend, you don't need to visit all night markets in Taiwan, as it mostly offers the same kind of food. 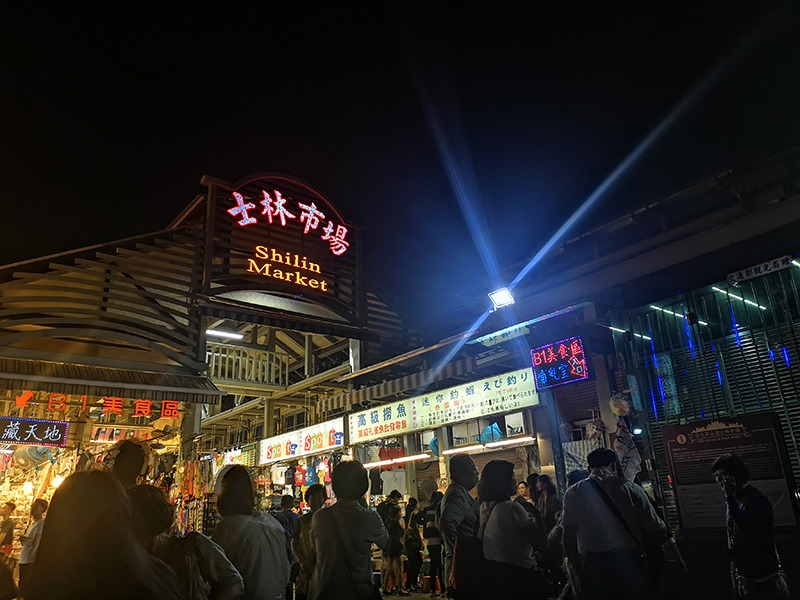 On our first night, we went to Shilin Night Market - the most popular night market in Taipei. 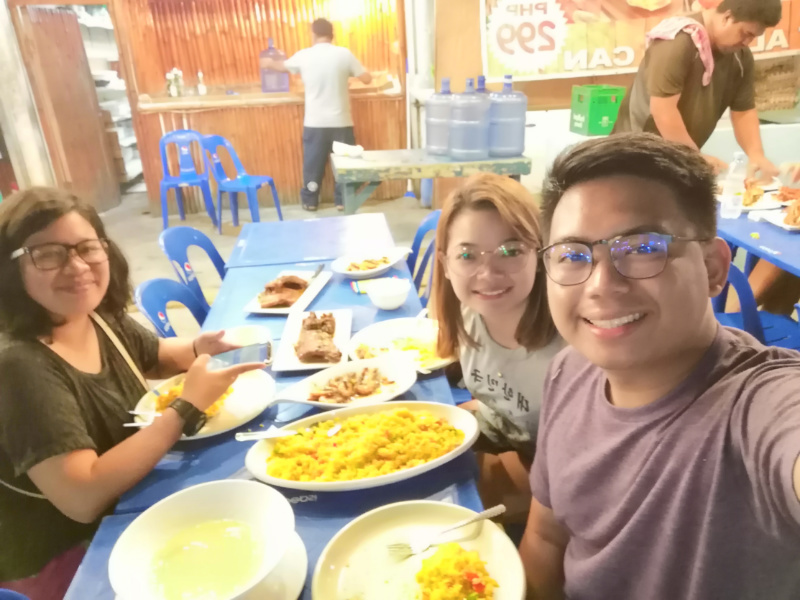 For the rest of the days, we tried different restaurants for dinner. 2. Utensils - If you're not that good at using chopsticks (like me), you may bring your own spoon and fork with you. Most restaurants we've tried don't have spoon and fork, I had no choice but to practice my chopsticks skills (Sorry, I'm working on it haha!). 3. Hotpot - We originally wanted to try Mala Hotpot as it is highly recommended in several posts I found online. A Taiwanese friend took us out for dinner, and we told her that we wanted hotpot. We initially mentioned Mala, but she told us that she'll bring us somewhere else way more special. When it comes to exchanging peso to another third currency, I am also confused TBH. Some of my friends would recommend me to exchange my peso to USD first, then exchange it to NTD. Some would say that straight conversion is better. I opted for straight conversion because I find it less hassle. Also, BDO offers competitive exchange rates. Just make sure to make a reservation to your branch of account ahead of time. Reservation can be done conveniently via a phone call. Upon claiming of NTD, you'll be required to present your passport and ticket. I made a reservation on first week of October, and received the NTD during second week. Conversion rate that time was 1NTD = 1.76PHP. 1. If you want to pre-book some of your activities, go ahead and check Klook or Kkday. For example, the Taipei 101 Observatory Ticket in Klook costs Php 879. Its original price in Taipei is 600 NTD (around Php 1,037). That's 158 pesos difference. One of the cons of pre-booking via Klook or Kkday is that the ticket can only be used for a specific date. During our trip in Taipei, we had to reorganize our itinerary and move some activities to different days. Good thing, I didn't pre-book the ticket via Klook, or else it would be a bit difficult to adjust our schedule. Pros - rates are usually cheaper, you can avoid long queue of line, etc. 2. For Northern Coast Tour (Yehliu Geopark, Juifen and Shifen), I think it's more convenient to avail a shuttle bus. We availed one from Klook, check out this link. A lot of my friends told me that it's difficult to commute to and from these places, so I guess this is the best and most cost-efficient option. The shuttle bus and tour guide were okay, but the time allotted for each destination is too tight. 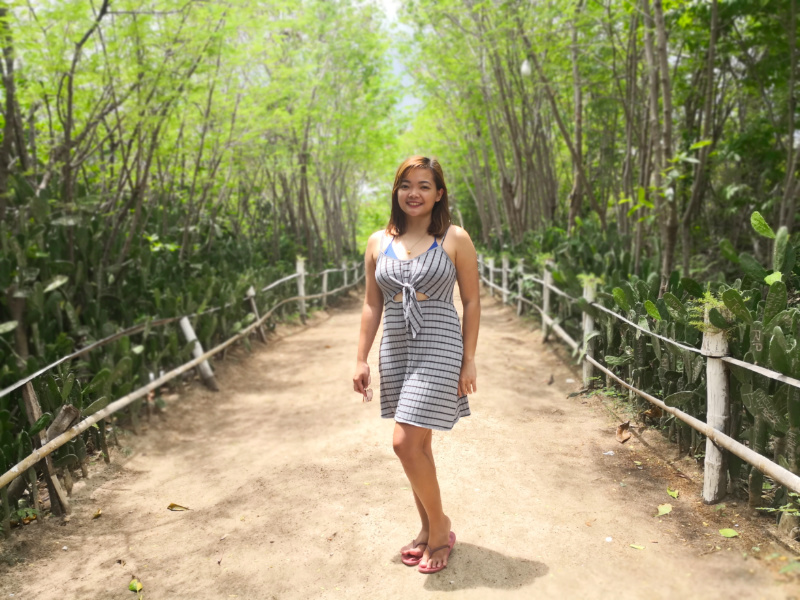 We wanted to enjoy each place more, but due to time constraints, we weren't able to do so. That's the only sad part. Take time to plan your itinerary! There's so much to do in Taipei. 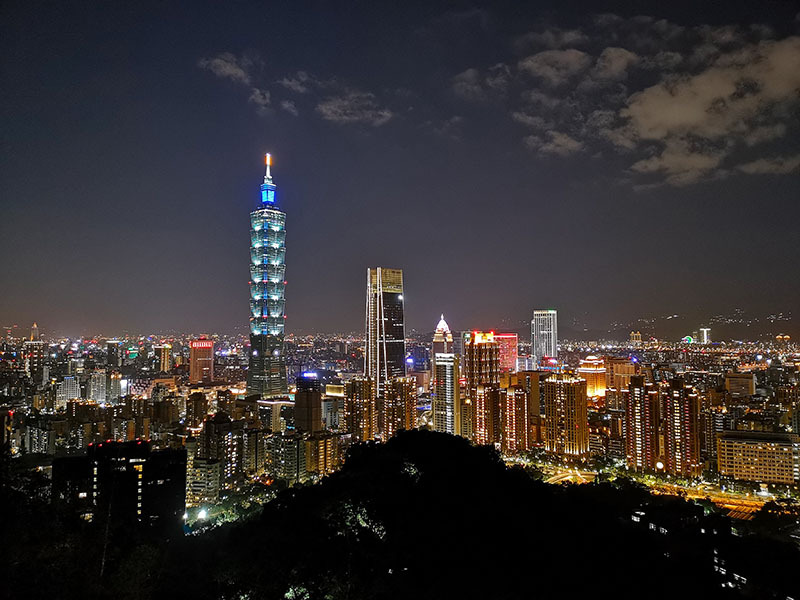 With limited time, it's best to plan your itinerary carefully so that you'll be able to maximize your stay in Taipei. 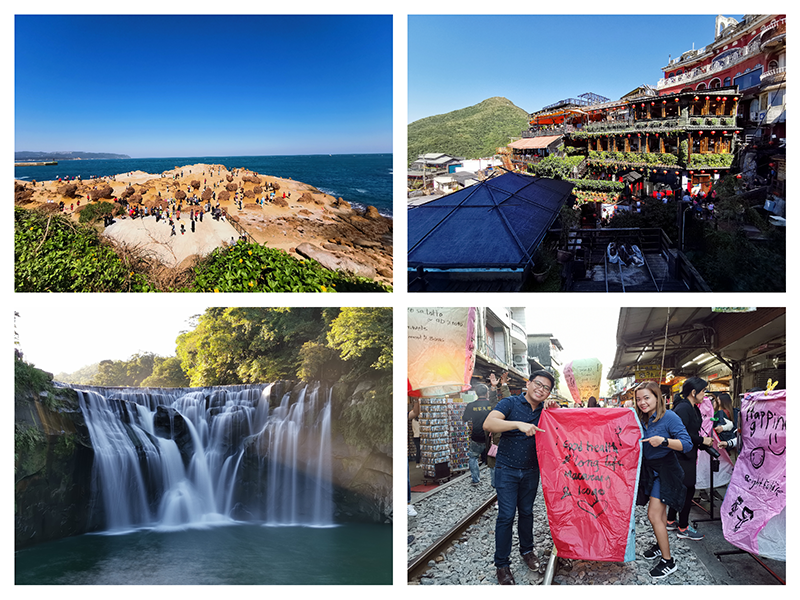 Check out my 5D4N Taiwan Itinerary and Budget. 1. Bring umbrella. During our stay in Taipei, it's mostly sunny or cloudy, but we also experienced occasional rain showers. 2. Bring moisturizer and lotion. It's already autumn season in Taipei, and temperature is around 17 to 25 degrees Celsius. Dry skin can cause breakouts, you don't want that right? haha! If you have other tips, let us know in the comment section below. 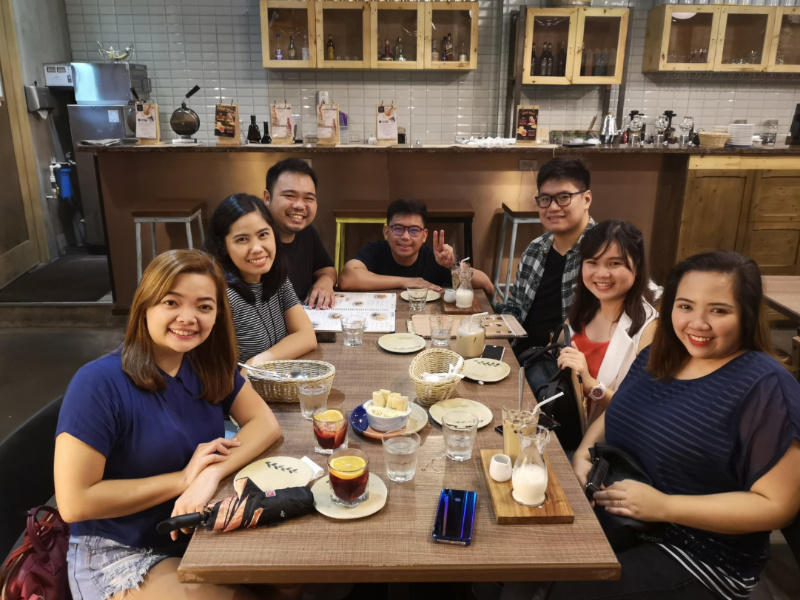 Ever since Taiwan granted a trial visa-free program for Philippines last 2017 (which got extended until July 2019), it has become a popular tourist destination for Filipinos. 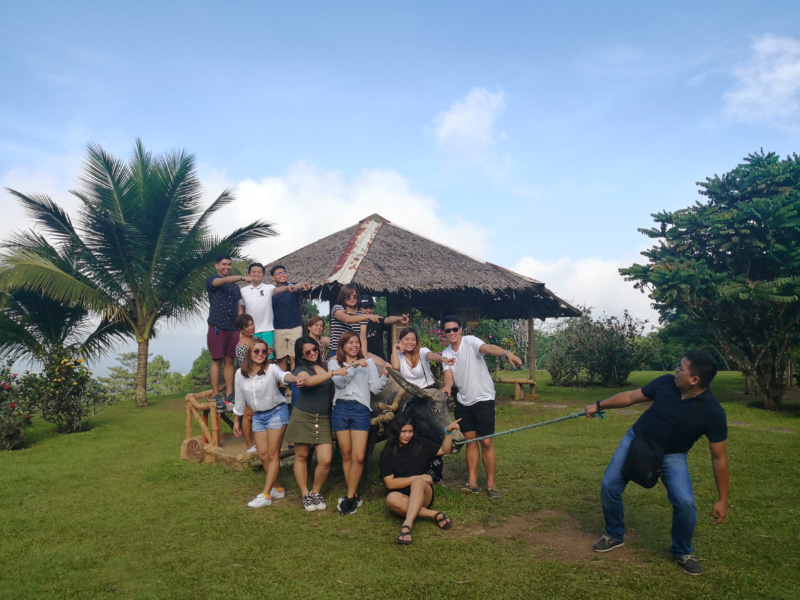 During our recently concluded Taiwan trip, Filipinos were literally everywhere! 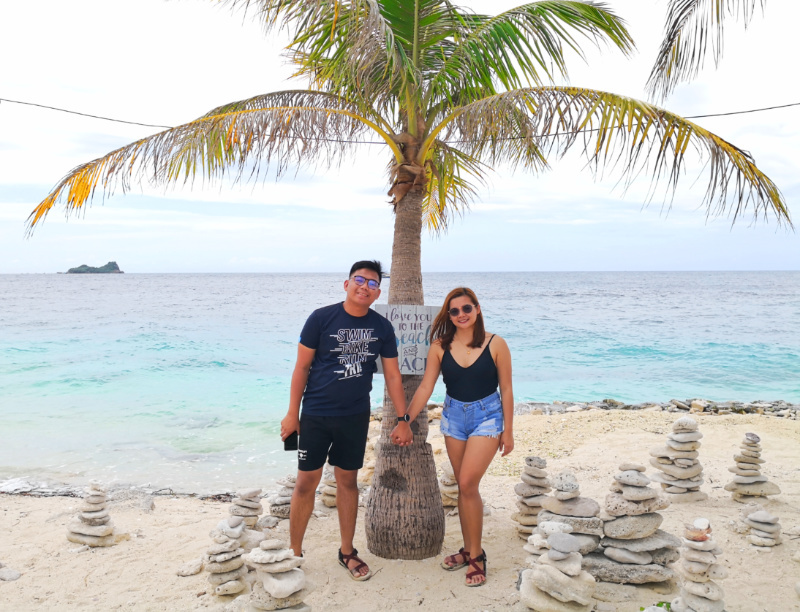 PJ & I went there to celebrate our 5th anniversary, and it was such a memorable trip! 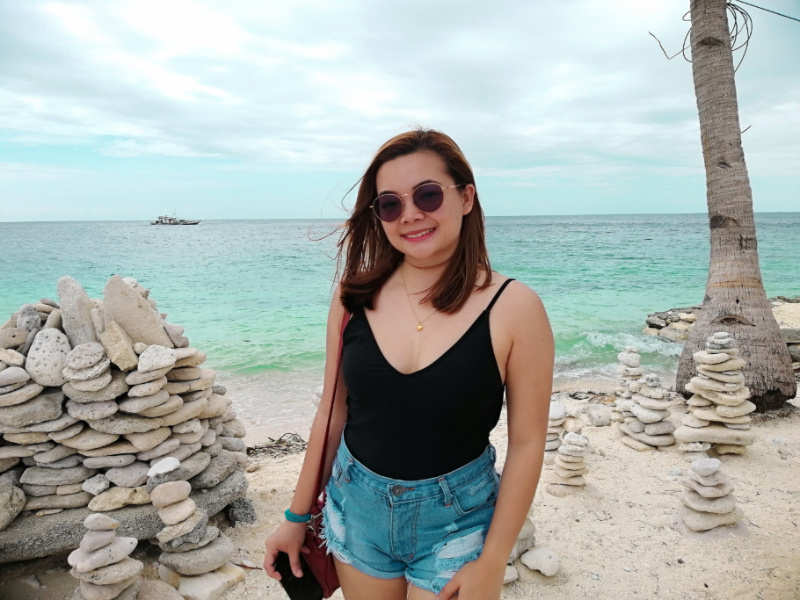 I actively posted pictures on my FB & IG accounts, and a lot of my friends sent me personal messages, requesting for our itinerary. 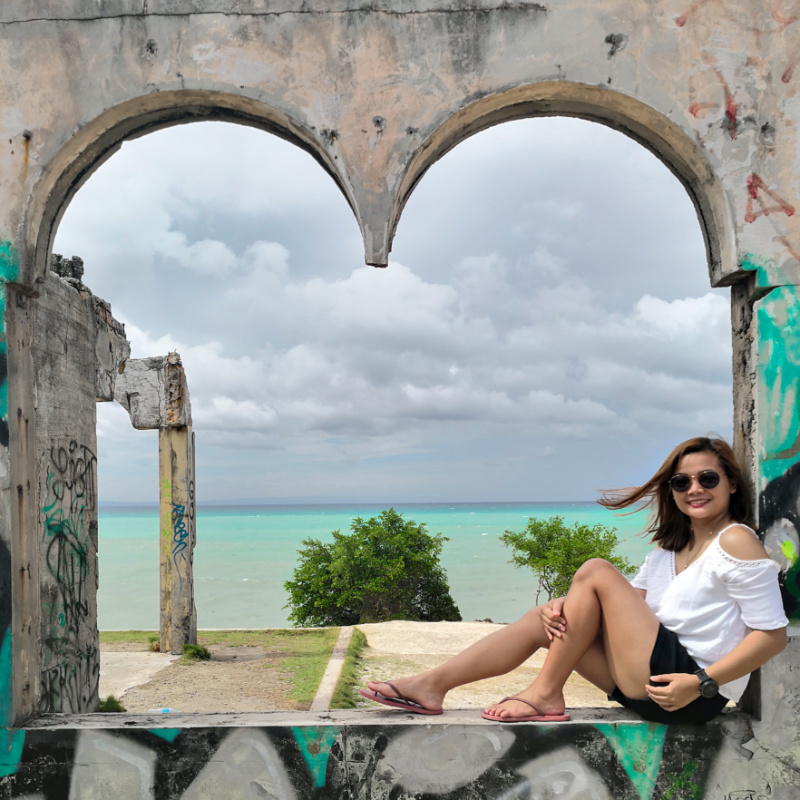 I initially shared my planned itinerary on my blog (Preparing for our Taiwan Trip), but would recommend you to follow the updated itinerary instead. Head over to the end of this article for our updated itinerary. 1. 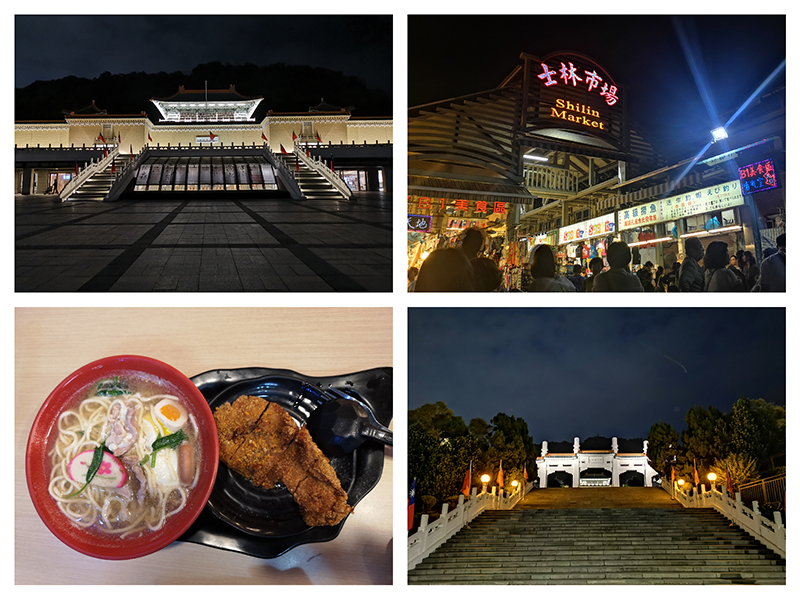 For Day 2, we cancelled our Beitou tour, and moved some of our activities from Day 3 to Day 2. 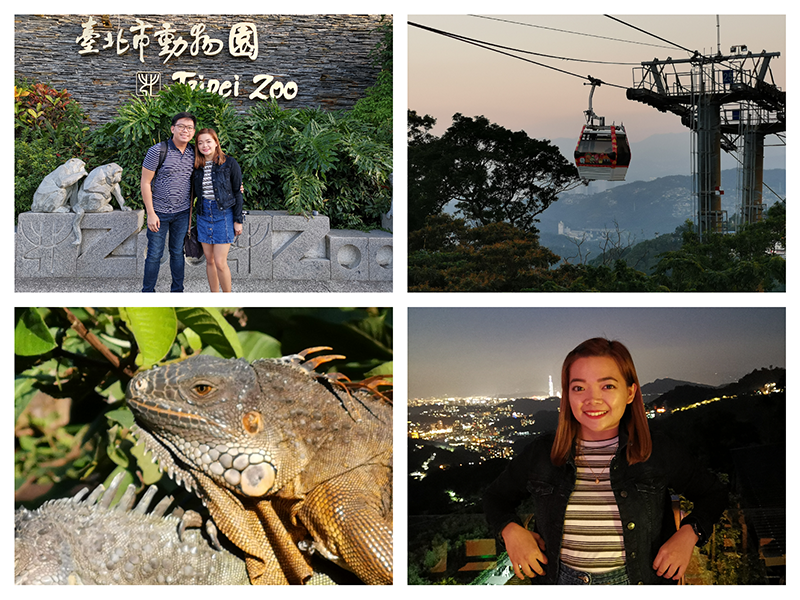 Realized that Day 3 activities were too tight, I wouldn't want to miss Taipei 101 & Elephant Mountain, in case we don't finish our first two activities on Day 3 (Taipei Zoo & Maokong Gondola). These two activities will take one whole day. 2. We originally planned to visit different night markets for dinner, but ended up visiting Shilin Night Market only. The rest of the nights, we tried different special restaurants in Taipei. 3. We were not able to go to Sun Yat-sen Memorial Hall due to time constraints. 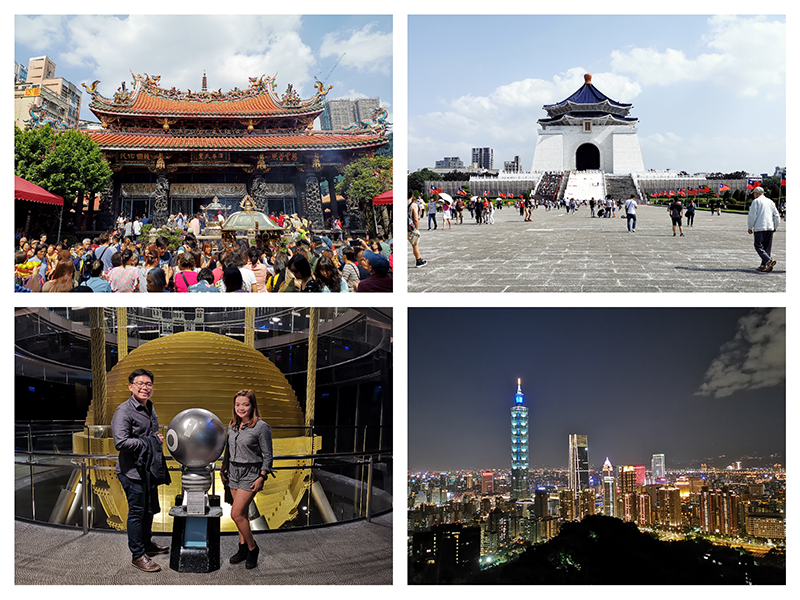 After visiting Longshan Temple and Chiang Kai-shek, we already headed straight to Taipei 101 & Elephant Mountain. 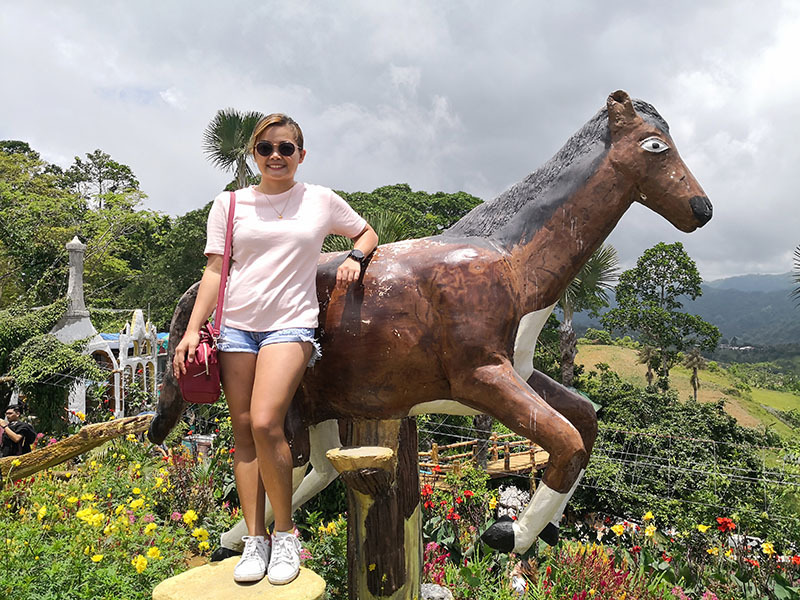 For detailed itinerary & budget, please download it here: Taiwan 2018 Itinerary and Budget - Updated. Please also make sure to download the Taipei MRT app to easily navigate from one MRT station to another. I highly recommend Metro Taipei Subway app by Wu Quiping. It works even when offline. Google Maps will also be a big help! 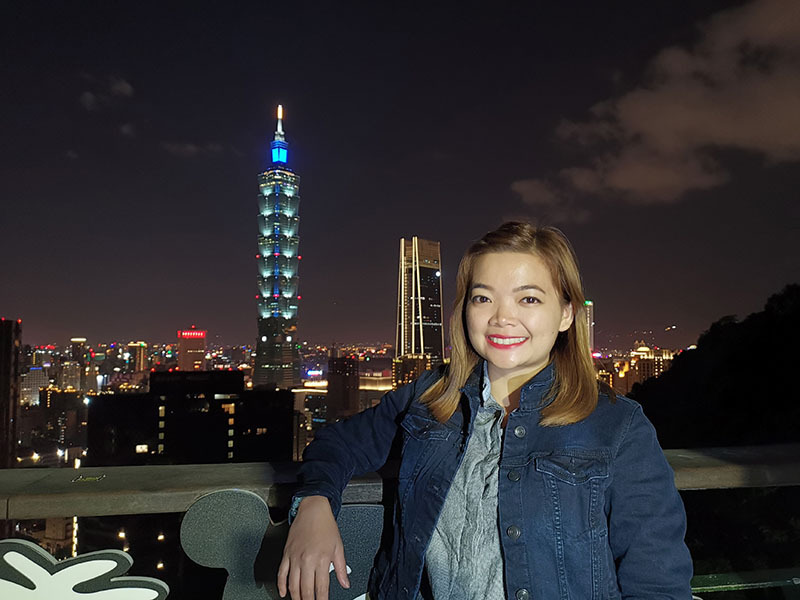 I'll be sharing Taiwan Travel tips in my next blog entry. Please watch out for it. Let me know your comments and suggestions in the comment section below! Xie Xie! 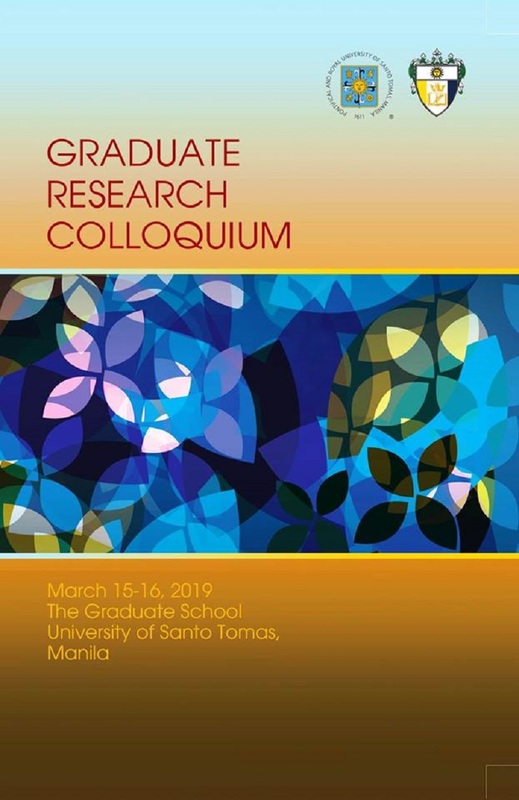 The real reason why I took a semester off from graduate school is to have more time to prepare for my thesis. I am one semester away from finishing my MBA, and the pressure is so overwhelming. The previous two semesters were really exhausting. I didn't know what crossed my mind when I enrolled 12 units (equivalent to 4 subjects including STRAMA 😭). When you have a day job, it's recommended to take 2 to 3 subjects only. For the previous semester, I took up thesis writing 1, comprehensive exam and one specialization subject. Didn't know how I managed to survive, but yeah, I'm here, still alive and kicking! I can say that taking a short break is good for both my physical and mental health. I took time to recover from stress and exhaustion. Of course, I also gave time for my social life (hello friends, I'm back)! Though in parallel, I still make sure that I have progress with my thesis.. So, why am I writing this blog entry? I don't know. 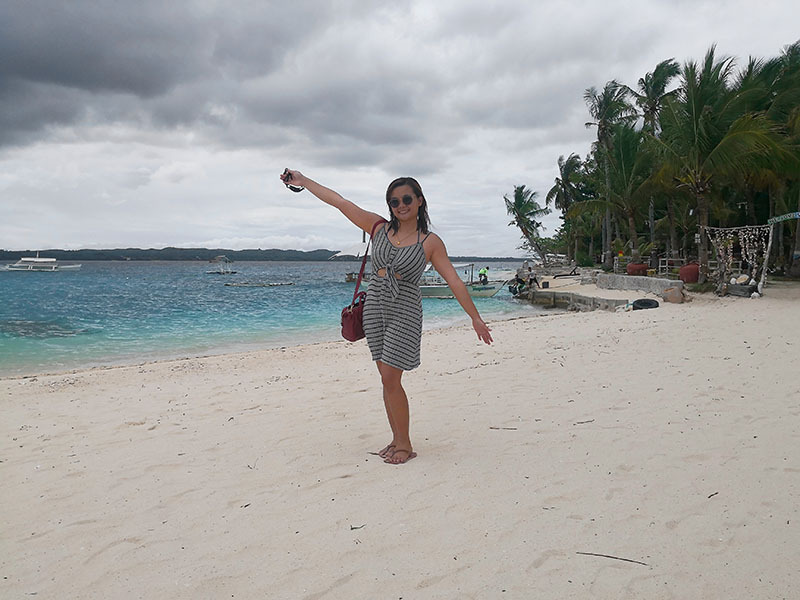 Maybe I just like to share how I've been maximizing this much-needed and well-deserved break! You may probably realize that you also need a break, and get an idea from this (but I can't guarantee that hahaha, so bahala kayo 😂). 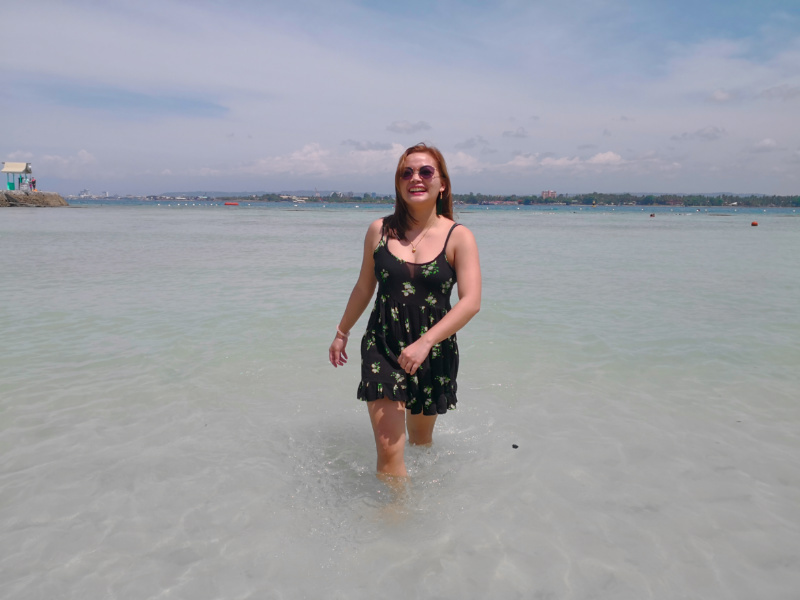 I traveled to Davao, Iloilo, Guimaras and Cebu. Next week, I'll be off for another adventure. Yay, I'm excited, Taiwan! I'm so grateful for the opportunity to travel. 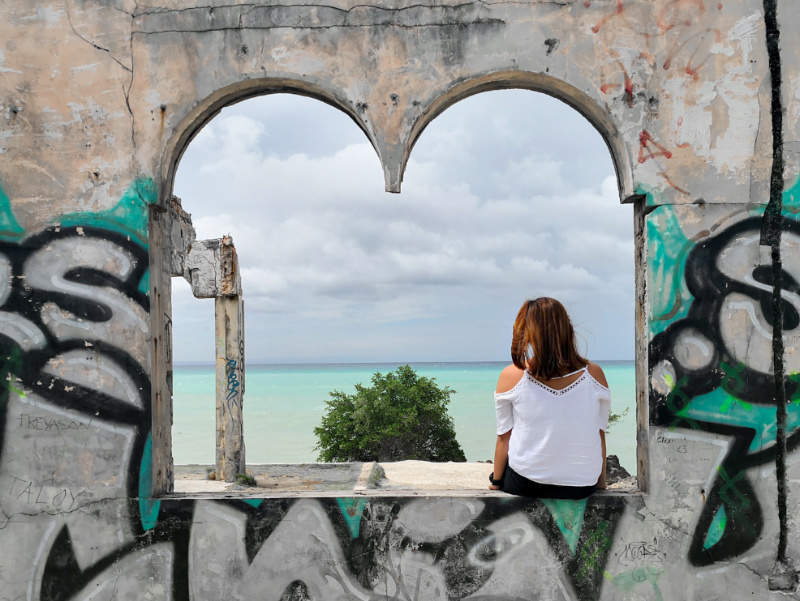 I love discovering new places, and making lots of memories with my loved ones. 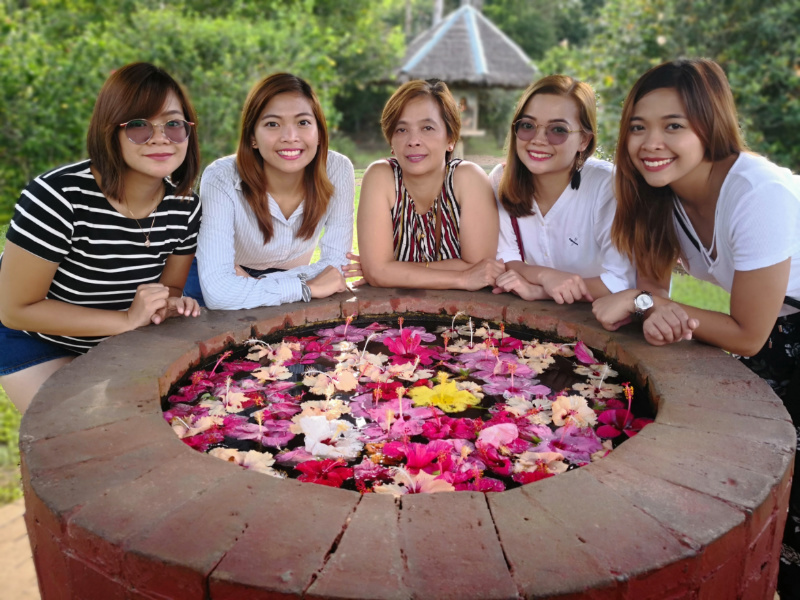 Fammmm at Eden Nature Park, Davao! 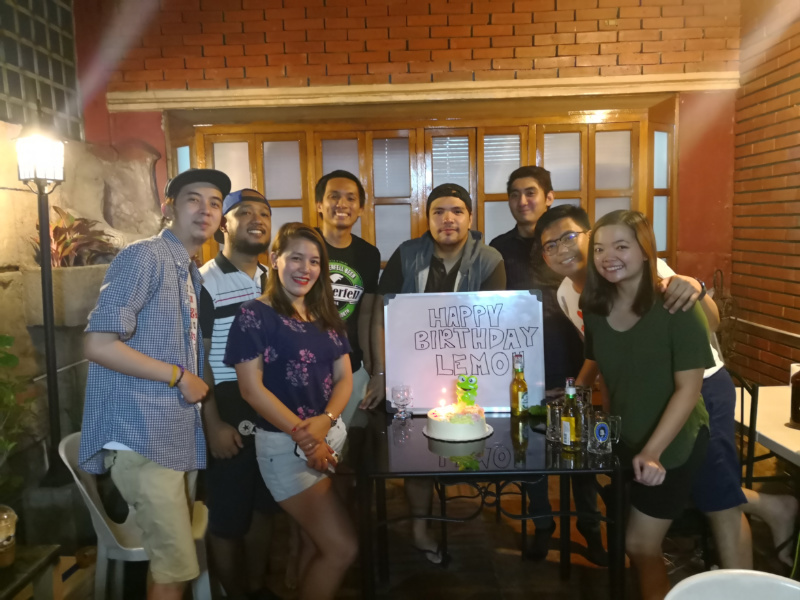 Huling hirit! Now, I'm busy preparing for my Taiwan trip next week. Bawi - bawi naman na sa lahat ng pagod! Though at some point, I felt tired travelling din! Sooo, next! I wasn't able to start right away with my thesis because I was too distracted with Meteor Garden! Walang makakapigil! 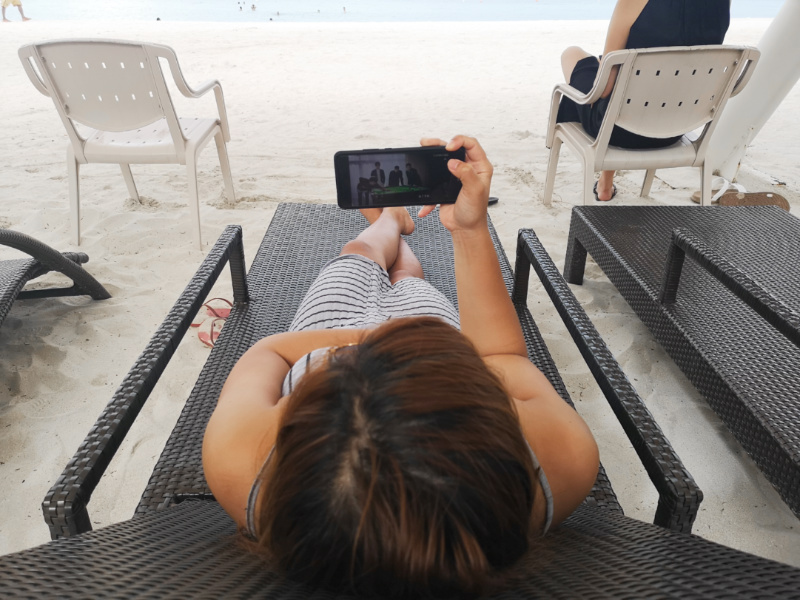 Watched Meteor Garden by the beach! So, what now? After my Taiwan trip, I have no choice but to face reality. Thesis, handa na ba kitang harapin? 😂 Kakayanin! 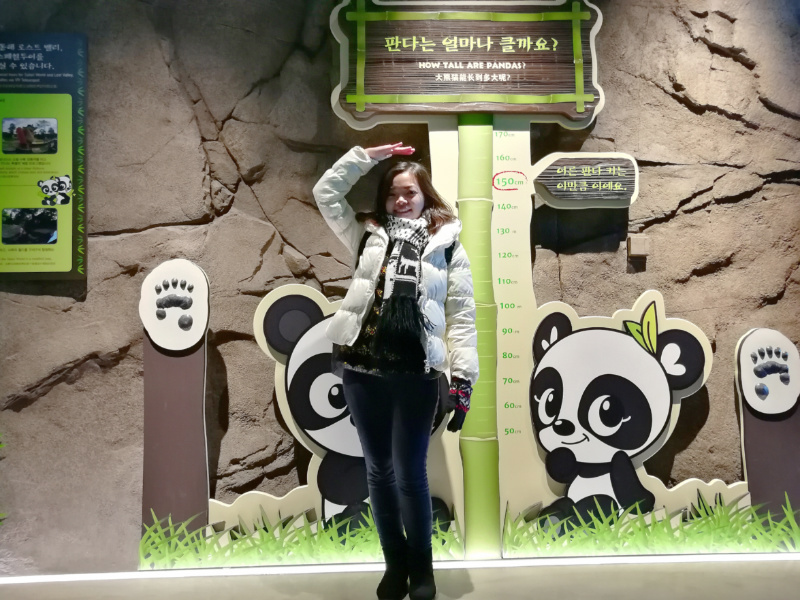 Of all the days I spent in South Korea, traveling solo, I felt loneliest at Everland. I realized that theme parks are meant to be visited with family or friends. It's actually weird to feel lonely in such a happy place. but for sure, it would have been a different story if I didn't go there alone. It was winter season that time, and Lotte World was probably the better option because it's an indoor theme park. 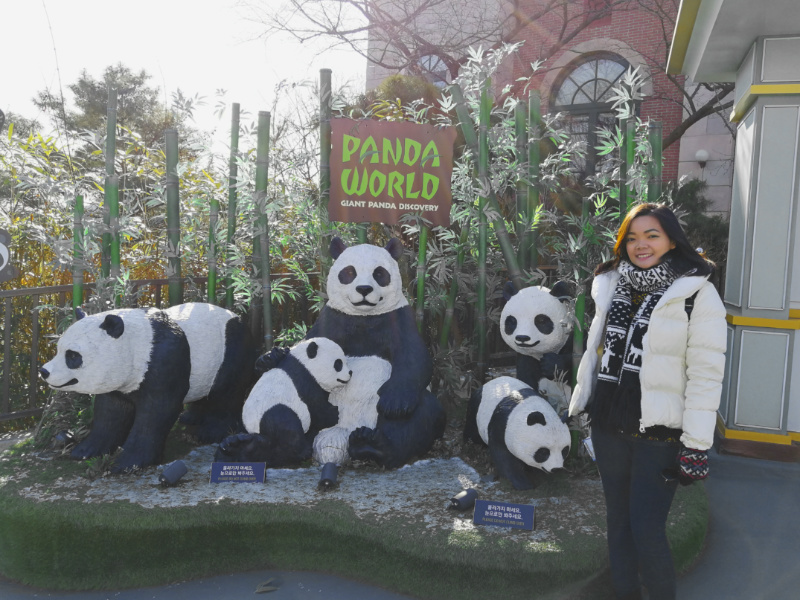 Since my top priority was to see the giant pandas, I decided to go to Everland (so goodluck sa lamig!). 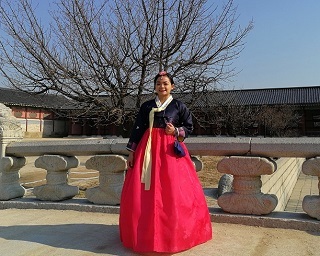 Everland is South Korea's largest outdoor theme park located in Yongin. 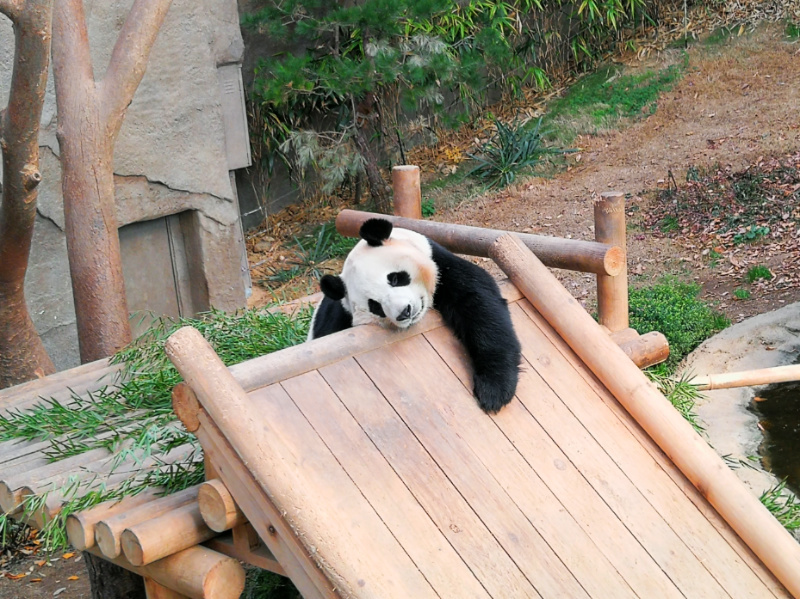 Among the attractions, Panda World was my favorite! Hence, the blog post. About to enter Panda World! I was so excited!! 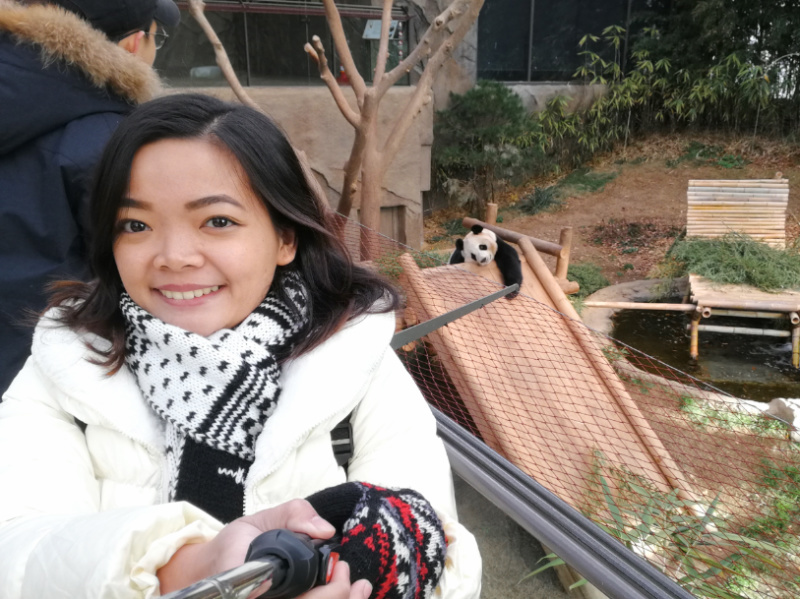 My feeling vlogger moment while walking my way to Panda World's Entrance. 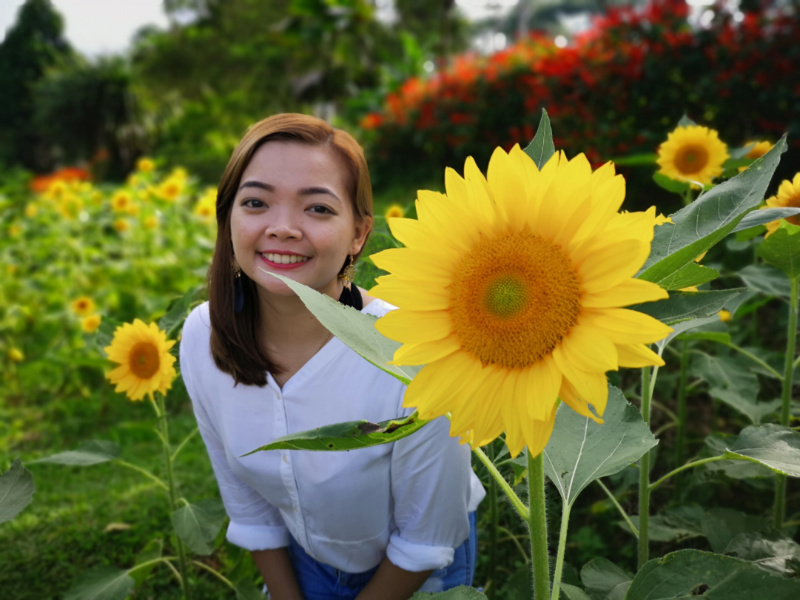 Excuse my nostrils, di talaga pantay yan. 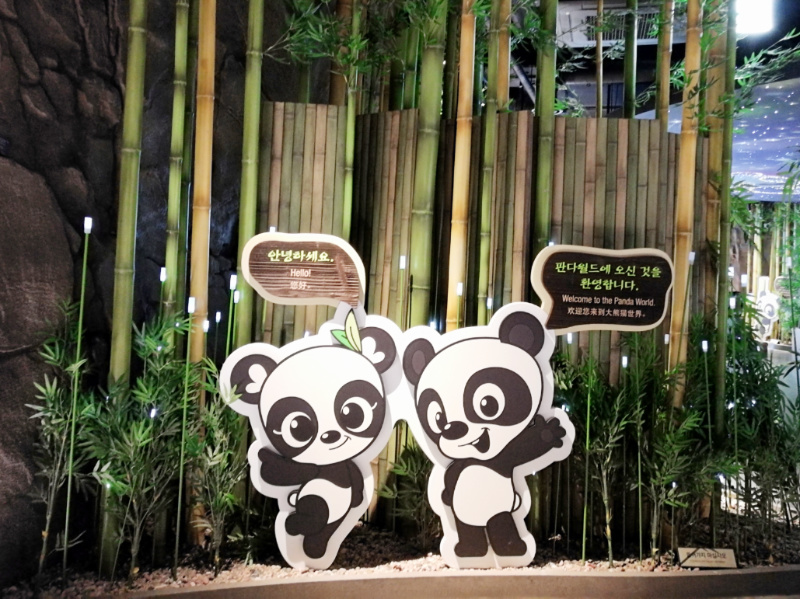 This short video clip welcomed the Panda World visitors! I wanted to try the Smile Battle but I had no competitor haha! 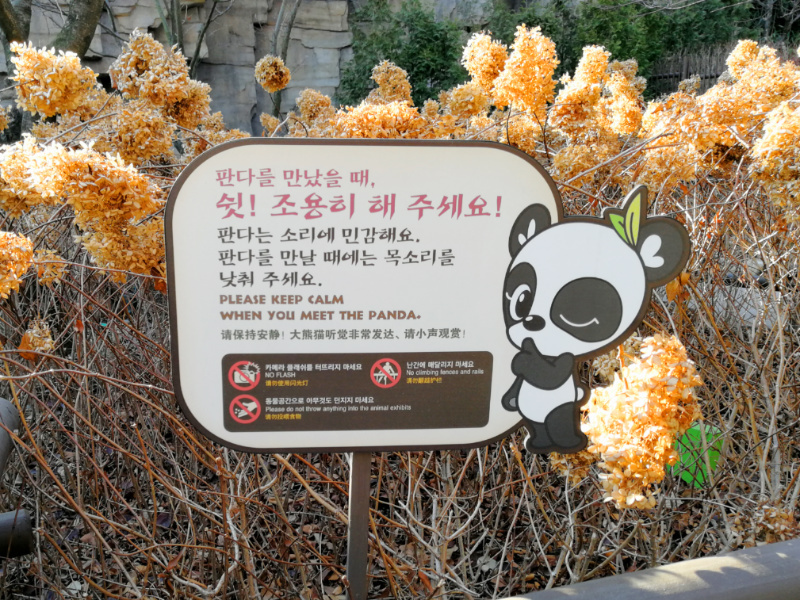 Friendly reminder: Please keep calm when you meet the Panda! 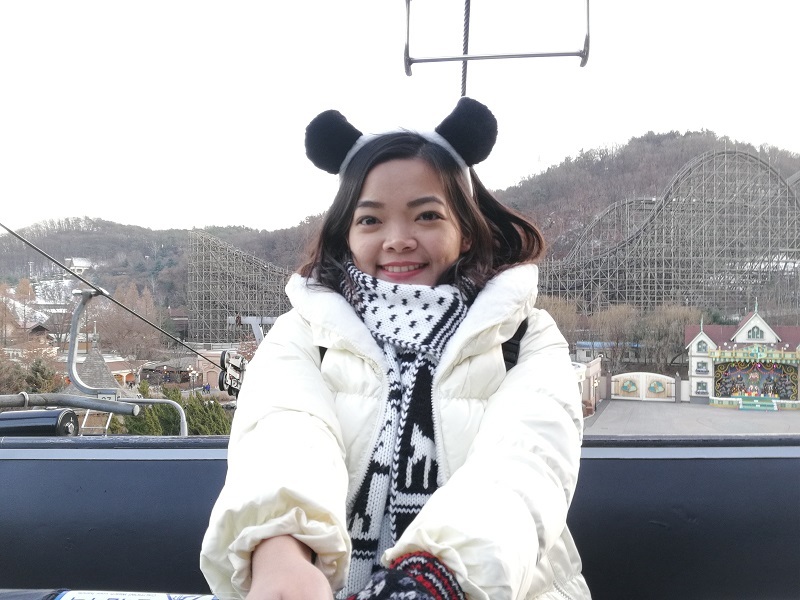 Bought this panda headband and wore it during my entire stay at Everland!! I am so happy to see these beautiful & adorable creatures! 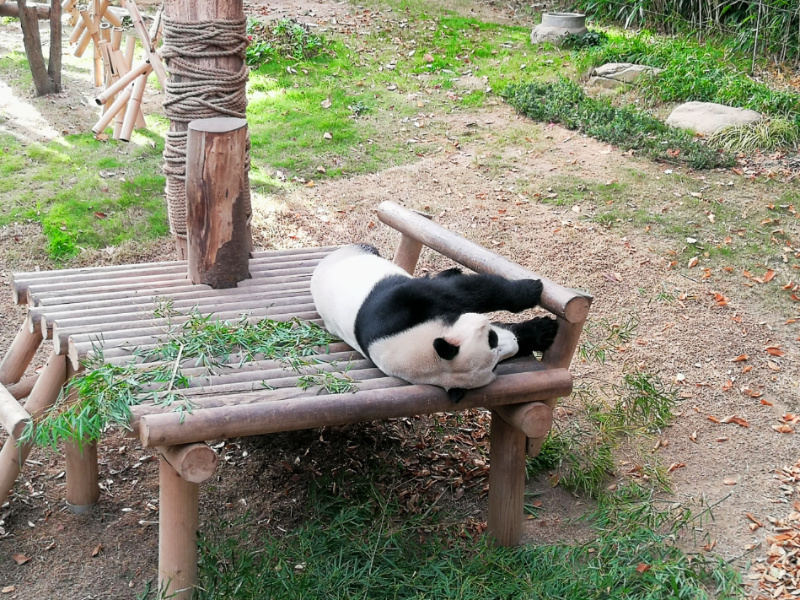 When I go back to Everland, I hope Ai Bao and Lei Bao aren't asleep! 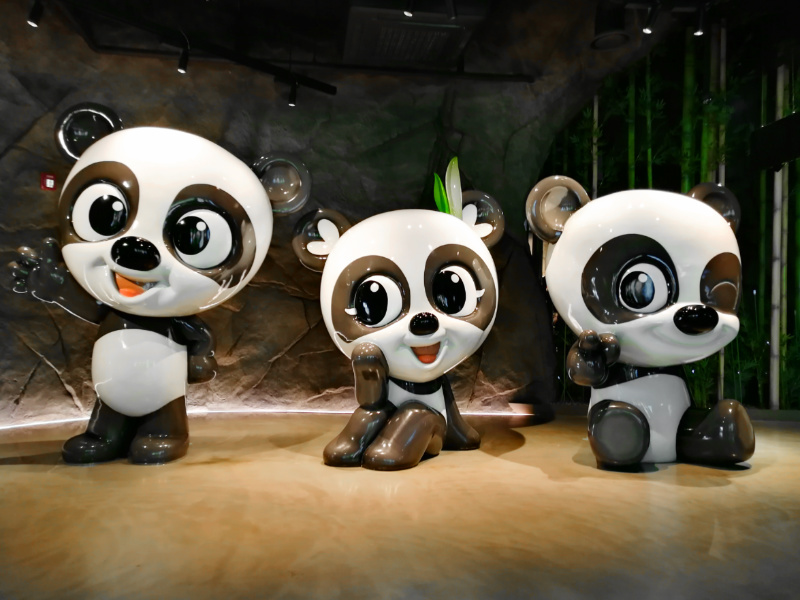 Thank you Panda World for the memorable experience! I'll be back for sure to enjoy the other attractions. That time, I wasn't really in the mood for extreme adventures, so I skipped most of the rides (except the Carousel, haha what a loser! ).